The blog is arguably one of the hottest tickets in internet marketing. It comes as among the cheapest, most effective forms of advertising in existence, and if yours comes out a success, you’ll quickly see why you had to start one in the first place. Many successful online bloggers use this strategy to keep in touch with their existing clients and attract new ones as often as possible. 1. Why are you creating a blog? The first question you need to ask yourself is how starting a blog can help promote your small business in particular. 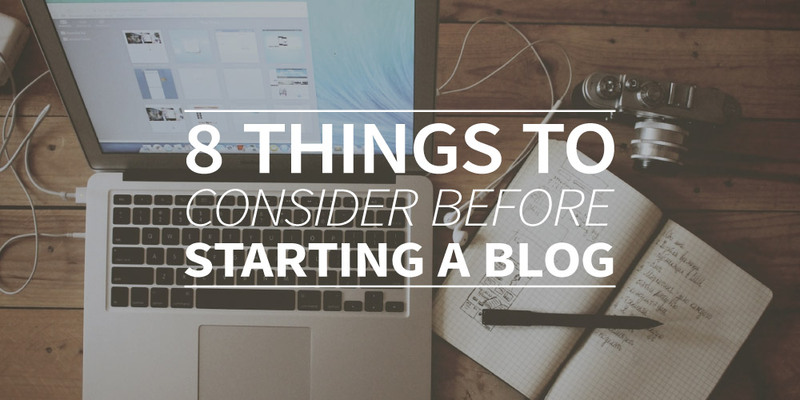 Determine why you decided on creating a blog for your business in the first place. However, one vague idea isn’t going to cut it. You have to come up with primary and secondary objectives for your brand. Once you’ve achieved that, you can move on to planning how you will track your blog’s performance in the long run. 2. What topics will you be talking about? Each blog has a specific set of topics that it specializes in, and the first thing you need to do is to establish what those key subjects are. From there, you can begin making better decisions on what is going to end up on your blog and gain a solid following from a community of readers interested in what you have to say. 3. Who will you be talking to? What you write about depends on whom you’re writing for. Identifying your audience and what they want is the first step to creating content that matters. Remember to write each post with your readers in mind.Doing so will ensure that you are on the right path to establishing a successful blog. 4. How often will you post? Frequency is an important aspect to consider when starting a blog for your business. Posting too regularly and too soon may be overwhelming for a first-time blogger. However, blog posts too few and far between may not be enough for you to garner a meaningful audience. Much like anything else, timing is everything, and posting blogs is no exception to such rule.Try to commit to at least a single post a week in the first couple of months, and from there, you can decide on whether or not you should be creating more content. 5. What type of content do you want to post? You don’t need to be a bestselling author to make great content. It’s all about meeting the needs of your audience by answering their questions and knowing what type of knowledge and information you want to share with them.Simply put, figure out what floats your audience’s boat. Call it a cliché, but unique, high-quality content still proves to be the top criteria for the success of your blog. However, if writing isn’t your thing, then incorporating a few photos and videos into your posts may be a fresh alternative. 6. Which is web hosting service best suits your blog’s needs? Running your blog on a free service provider may make sense at the start, but as you begin to give blogging a bigger role in your business, you should consider switching to a paid service. If you’re a small business owner, dedicated or VPS hosting is the way to go. This type of web hosting service provides your blog with a server of its own, allowing it to take full advantage of the server’s resources. 7. What will be your blog’s domain name? Your blog is the face of your business online, and choosing the right domain name is just as important as choosing your business name. Select a domain name that is short, specific, memorable, and relevant. And always keep in mind that your blog’s domain name is as much a part of your company’s identity as your logo and products are. 8. Where should you promote your blog posts? Be vocal and go social when it comes to promoting your blog posts. Make sure your RSS feeds are readily available and obvious enough for people to subscribe to. Set up profiles on sites such as Facebook, Twitter, Instagram, and LinkedIn, and automate link sharing from your blog posts to those services. It’s important for your business to have an online presence, and starting a blog is one surefire way of promoting it. Now that you’ve learned how to make a blog for your business, heed these important points to jumpstart your entrepreneurial endeavor.